Graphics Double Data Rate (GDDR) memory is a type of synchronous graphics random-access memory (SGRAM) with a high-speed interface. First available in 2007, the previous generation of GDDR, GDDR5, has evolved well beyond its expected lifecycle to meet the needs of the industry. Nevertheless, GDDR5 has reached its apex, and a successor, GDDR6, was published by JEDEC in July 2017. Since then, memory suppliers such as Samsung, Hynix and Micron have all announced their intentions to offer GDDR6 products. GDDR6 promises to offer a significant jump in memory bandwidth over GDDR5 and even GDDR5X, the latter offering twice as much data as the former to be accessed at one time. While it is without a doubt that GDDR6 will continue be used in graphics cards like the past five iterations, several memory and IP companies are educating customers of applications that could possibly benefit from the speed and bandwidth GDDR6 has to offer for products that are not directly related to graphics. This will help grow the overall market for the memory and provide higher bandwidth options for certain customers. The notion of using GDDR beyond graphics and gaming is not entirely new. GDDR IP vendors have long seen product categories, such as networking gear, as being fertile ground for this type of memory given the kind of bandwidth it needs. However, while expanding GDDR beyond graphics has been an effort since the GDDR5 days, if not even earlier, actual market penetration for non-graphical use of GDDR5 has been limited. With the launch of GDDR6, Micron is hopeful in taking a different approach to a more concerted, organized path for spurring GDDR6 adoption. 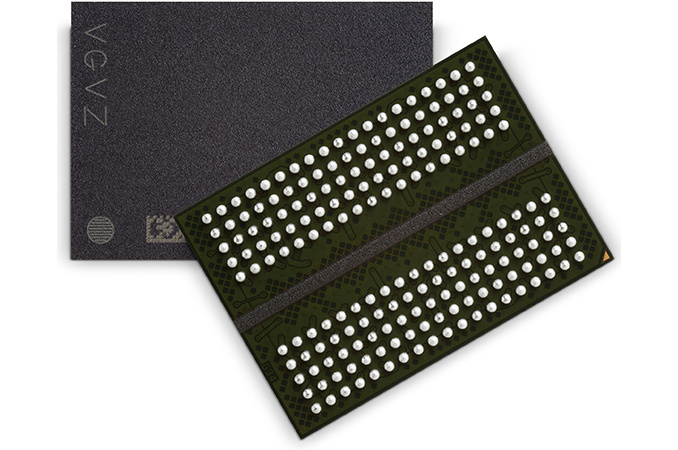 Micron, in collaboration with Rambus, Northwest Logic, and Avery Design, is developing a complete toolkit solution for chip designers to implement support for GDDR6 on their products. The development of a common ecosystem will allow designers to adopt GDDR6 more easily by offering a full suite of compatible GDDR6 IP, and the means to validate it. By collaborating to supply a validated solution for everything an ASIC designer needs to interface and communicate with GDDR6 SGRAM, the group of companies hopes to address the biggest roadblock to GDDR5 adoption: the lack of easily-licensed IP. For example, if a vendor wished to implement GDDR5, there were few, if any, prefabricated designs to work it. Thus, vendors needed in-house expertise to implement their own GDDR5 memory controller and high-speed memory interface. Big companies like Nvidia and AMD were able the shoulder the high cost and the intensive labor, but having to do everything from scratch made GDDR5 inaccessible to small and mid-size players. Each member of the collaborating group of companies supplies a different piece of the puzzle for the toolkit. Micron supplies the GDDR6 memory itself, while the memory controller IP comes from Northwest Logic. The physical interface (PHY) IP is supplied by Rambus, and the validation tools are supplied by Avery Design. While it is important to note that potential customers will need to reach out to each company to license the relative IP bits rather than all at once, the cooperation and validation should significantly streamline the process of implementing GDDR6 in new chips. Autonomous cars are a particularly interesting use case. Since self-driving cars involve a great deal of visual processing, albeit through taking in data as opposed to putting out data, there is overlap between the autonomous car market and the graphics market. Level 5 self-driving cars (i.e. : self-driving cars with full autonomy) require a massive amount of sensor data and therefore a great deal of memory bandwidth to carry that data. The market is expected to grow over the next couple of years. 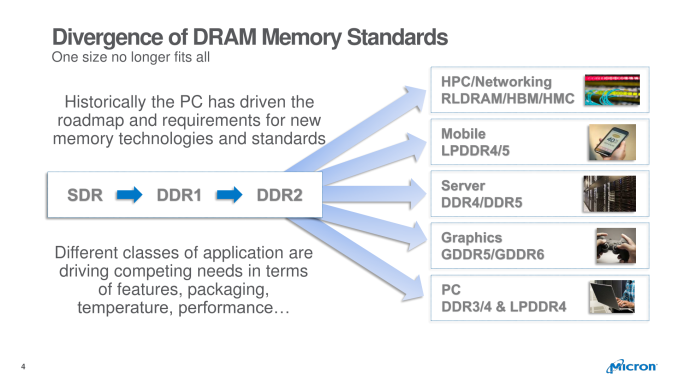 Thus, there is ample opportunity to introduce GDDR6 memory in this field. When one thinks of GDDR, one usually thinks of a component that fuels the graphics card that helps their computer run games like Crysis®. While the main market of GDDR has been that of gaming and other graphics related tasks, there is a unique opportunity to expand the implementation of GDDR beyond the realm of graphics. Thanks for Micron’s launch of GDDR6, and its collaboration with Rambus, Northwest Logic, and Avery Design, it is easier for ASIC designers to acquire the pieces necessary to implement GDDR6 on their chips. The rise of autonomous vehicles is a potential use case where GDDR6 can be leveraged due to a rigorous demand for handling large amounts of input data. Whatever the case may be, the future of GDDR6 and by extension, the future of GDDR, looks bright.